Beware of noise from the nearby military airport which may interrupt your backswing but apart from that Long Bien Golf Course is a very attractive course and at the moment quite wide open as many of the trees have yet to mature. 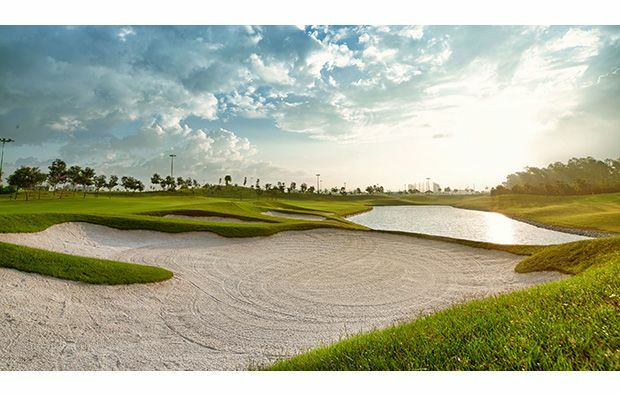 The course is quite short, even from the back tees so they have added plenty of deep bunkers, water hazards and out-of-bounds so the course is more suited to the accurate player rather than the long hitter. The greens have plenty of undulations and some pun positions are very hard to get to especially as many of them are very well protected by bunkers. 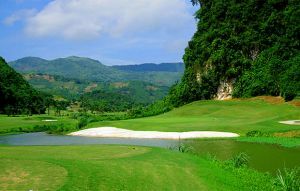 Most holes have pretty generous landing areas although on some holes there is a lot of bunkering. Interesting holes on the front nine include the driveable par-4, 3rd but if you try to reach in one and miss you are left with a tough up-and-down. The 6th is a downhill par-3 and one of the signature holes and requires a tee shot over water to a tiered green which is easy to 3-putt if you get in the wrong position. 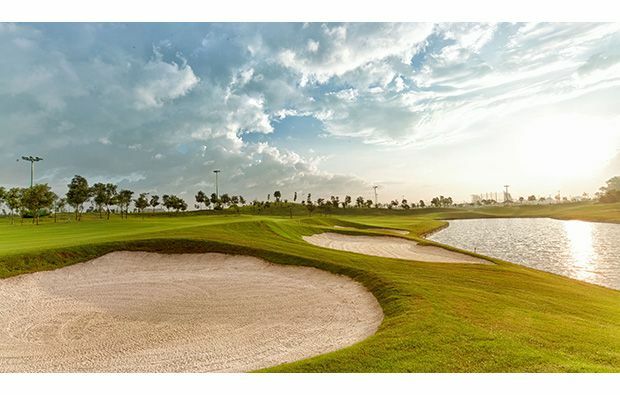 The finishing hole on the front 9 is a great birdie opportunity and is a short par-5 which is all about positioning for your approach – get this right and you will start the back nine with a smile on your face. The 10th is a long par 4 and providing you avoid the deep fairway bunkers you can escape unscathed. The 5th is another attractive par-3 which can be treacherous if the wind is blowing – water left and a run off area right you really do need to try and land on the putting surface to avoid a bogey. The penultimate hole is the toughest par-5 on the course with bunkers a factor for all three shots to the green and getting the approach right is critical. 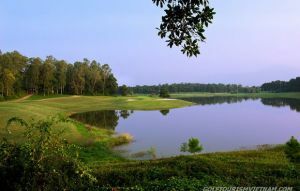 A tough finishing hole and potential “card-wrecker” with a particularly tricky approach over water to the putting surface. A huge and palatial clubhouse with an entrance hall like a 5 star hotel with an enormous crystal chandelier and the on-course drinks huts are the most luxurious I have ever seen. 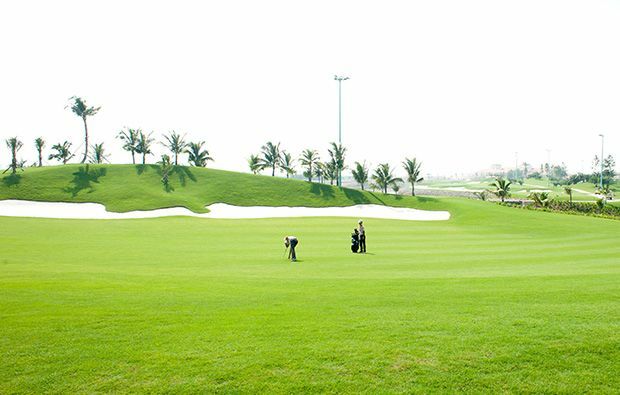 The course also features a 52-bay driving range. Other points worth mentioning are the floodlights and rather unusually the all-male caddies equipped with their own range-finders. 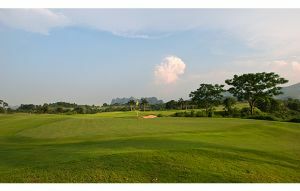 I am sure that Long Bien Golf Course is going to become one of the most popular golf courses in Hanoi and is ideal if you wish to play on the day of departure. 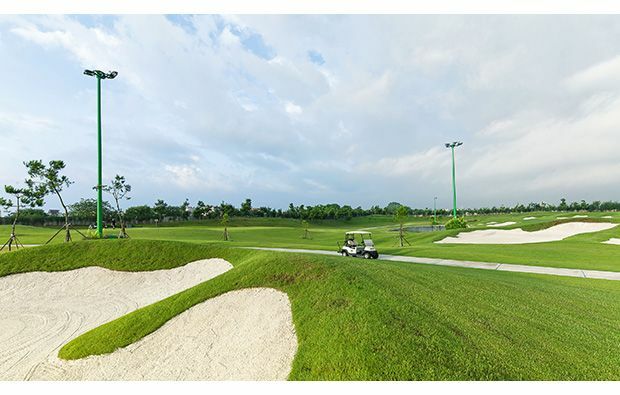 As we mentioned above this is the first public golf course in Hanoi so is in big demand so if you would like to secure a tee time then you can booking online using the Golfsavers booking engine. 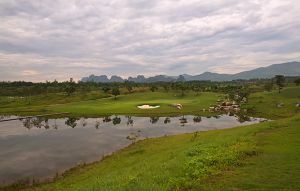 Long Bien Golf Course is not yet in our pool of Golf Courses for orders.